Cedar Rapids, Iowa (February 25, 2014)— The Grammy award-winning vocal ensemble, New York Voices, will perform at the reopening celebration of Ballantyne Auditorium at Kirkwood Community College on Thursday, February 27, at 8 p.m. The sold out concert is presented by the Department of Arts and Humanities and includes Kirkwood vocal groups, Jazz Transit and RSVP. 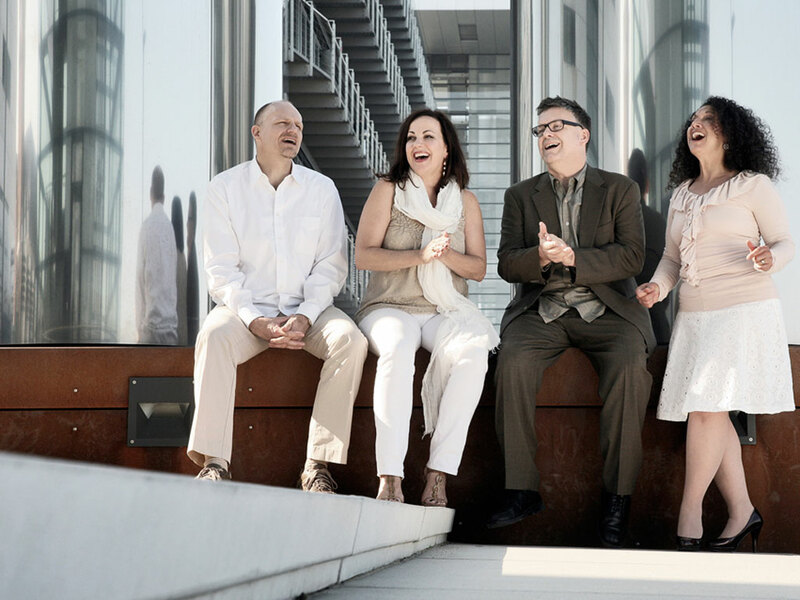 Formed in 1987 by Darmon Meader, Peter Eldridge, Kim Nazarian, Caprice Fox and Sara Krieger, New York Voices is renowned for their extraordinary scope of music and the art of group singing. They have learned from the best and pushed the art form into the 21st Century. Their harmonic palette is rooted in jazz, but their playground is eclectic – infusing Brazilian, R & B, classical, pop and original compositions with ease and expertise. In addition to their CDs, New York Voices have made guest appearances on recordings and live performances that have earned them critical acclaim and demand in a variety of musical settings. They travel the globe amazing audiences with their impeccable voices and stunning arrangements. The vocal jazz groups, RSVP and Jazz Transit, under the director of Ray Salucka, have been recognized for their high standards of performance, and have received national and international acclaim. They are Kirkwood’s two premier collegiate vocal jazz ensembles, and have showcased their talent in places such as France, Austria, Czech Republic and the Netherlands. When: Thursday, February 27, 2014 at 8 p.m.